"Considering South Australia has the highest unemployment and number of small businesses, we also have one of the highest disincentive taxes for small businesses to grow and create employment." 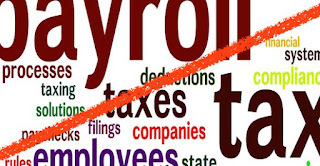 Payroll tax is a general purpose state / territory tax on businesses creating employment. It applies when the total wage bill of an employer (or a Group of employers Eg. Companies related by common director(s)) exceeds a threshold amount. It is a complex tax and it can catch business owners and investors out particularly with the Grouping categories. "Groups" are designed as a catch all approach to maximise state revenue by linking business owners, investors, employees and the like to more than one legal entity. For example, if you own and operate a small business under the payroll threshold, and decide to purchase shares in a separate business also under the threshold level, than the accumulative payroll from both businesses may attract payroll taxes. It can be an unwelcome surprise and expense for the other shareholders in both businesses. The sharing of the tax free threshold and the different state rules further compound the complexity of this tax system. Payroll tax is payable monthly in South Australia to RevenueSA. Who is liable for Payroll Tax? A payroll tax liability arises in South Australia when an employer (or a Group of employers Eg. Companies related by common director(s)) has an annual wages bill in excess of $600,000 for services rendered by employees anywhere in Australia if any of those services are rendered or performed in South Australia. RevenueSA recommends employers register for payroll tax when their wages bill consistently exceeds $12,500 per week. You may also need to consider Contractors or Service Providers invoice payments when calculating your total wages bill. To check, you can use the ATO's Employee / Contractor decision tool. Exemptions - As you may expect, certain non-profit organisations are exempt from paying payroll tax and believe it or not! the creator / producers of motion pictures are too, subject to the ministers approval. Apprentices and Trainees had been exempt from payroll tax however on the 1st of July 2012, the South Australian Government enforced the payroll tax threshold to include the wages of people being training. In South Australia any remuneration provided to an employee is considered a Wages. It is the sum total of Wages, salaries, superannuation contributions, commissions, bonuses, allowances, directors fees, fringe benefits, payments in kind, eligible and termination payments. If you are unsure or need assistance to minimise your Payroll Tax and exposure, simply choose a suitable time to see us.